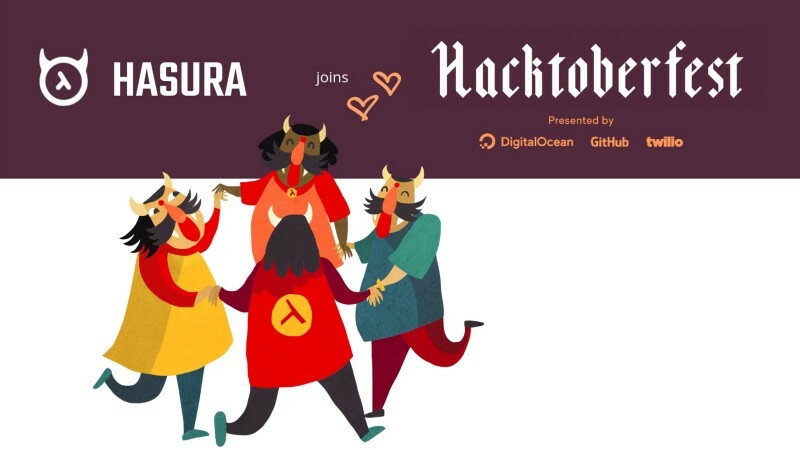 We’re super excited to announce that Hasura will be participating in this year’s Hacktoberfest! Get your PRs merged into the GraphQL Engine repo to get some cool Hasura swag 😎. Hacktoberfest, brought to you by DigitalOcean, GitHub & Twilio, is a month-long celebration of open source software that happens every year during October. 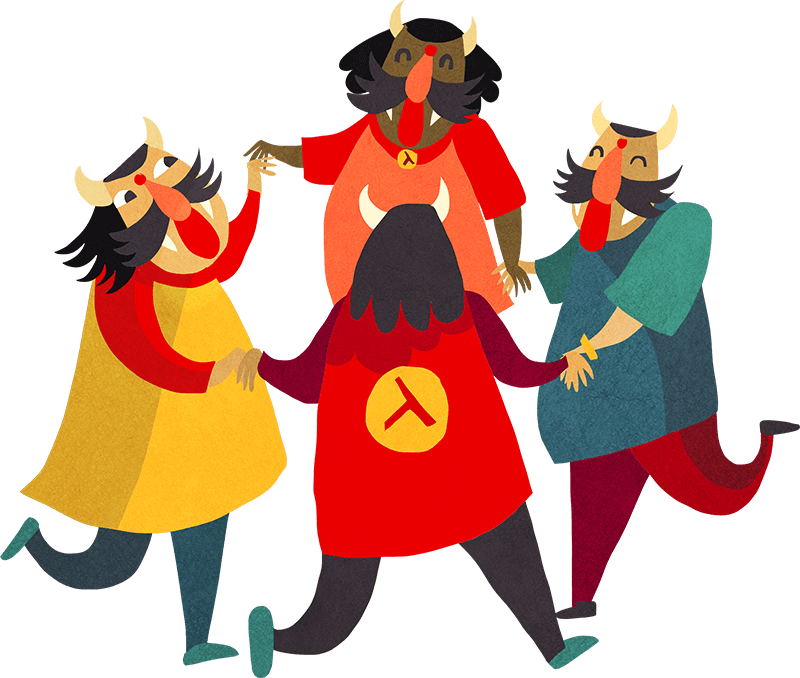 Hacktoberfest started in 2014 and rallies a global community of contributors, with last year’s event drawing more than 30,000 participants and nearly 240,000 pull requests. We open-sourced the Hasura GraphQL Engine just about 2 months back and have received an amazing response from the community. GraphQL is a rapidly emerging field and developers the world over are moving towards building applications using GraphQL. We look forward to being involved with the large open source community that’s excited about GraphQL and the tooling around GraphQL. There is a lot of tooling, boilerplates and tutorials that can be created to help the community move forward faster. Community resources: NodeJS, Python, React, ReactNative, Flutter, Vue and anything and everything the community would like to see and contribute. Issues across all these components are available for taking up and have been marked as hacktoberfest. If you’re new to open-source, or the respective programming language/framework, we suggest that you look at issues we have also labelled as good first issue. To participate, you can submit a pull request to our GraphQL Engine repository between 1st to 31st of October. If you’re taking up an issue, do comment on it displaying intent so that duplicate work can be avoided. We’ll send a Hasura sticker pack to anyone who submits a PR. And if your PR to an issue tagged as ‘hacktoberfest’ gets merged, we will ship a Hasura t-shirt and a sticker pack to you (wherever in the world you are). We will send you a form to fill out for details as and when this happens. We’ll share more updates over the next few weeks. In the meantime, post your questions on our Discord server or tweet @HasuraHQ with the hashtag #hacktoberfest. To learn more about Hacktoberfest from DigitalOcean, GitHub and Twilio, you can visit the official page. You can register on the page to get a limited edition Hacktoberfest shirt from DigitalOcean for completing five pull requests on public GitHub repositories. Contributions to the Hasura GraphQL Engine repo will count towards the five 😊. Calling all open-source contributors ( or would-be contributors) to come be a part of the GraphQL Engine project.